Make the Australian Olympic Team feel at home in the Olympic Village by decorating their rooms with your art! Join millions of young people around the world and celebrate the Olympic Games at your school in June each year. 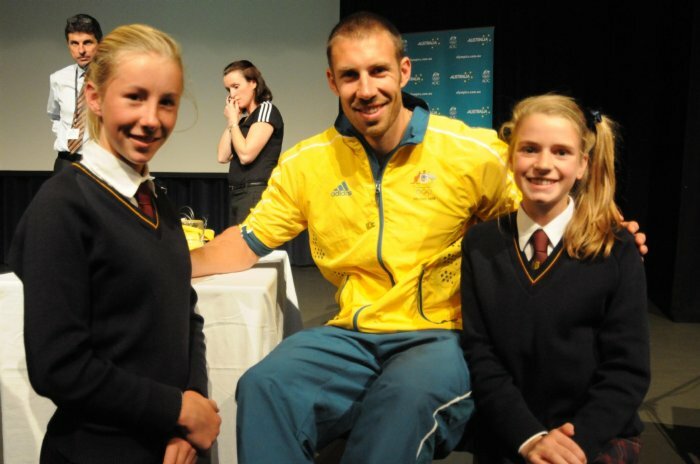 Primary school students can chat with their Olympian heroes using web video conferencing through out the school term. 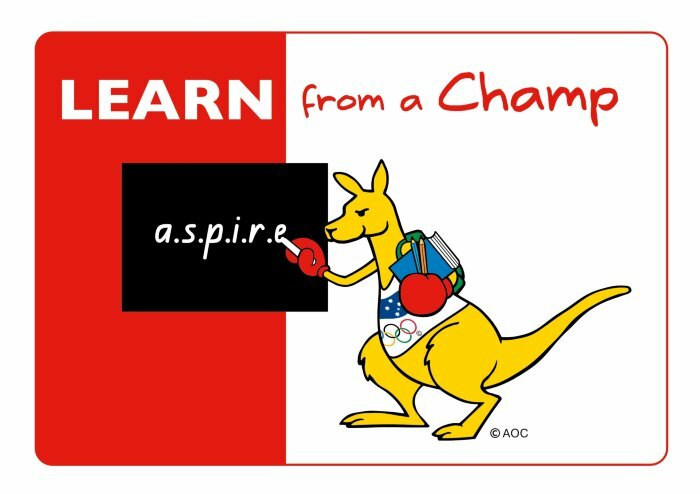 Meet with a Champ is a live studio audience discussion, featuring outstanding Australian Olympians sharing experiences about the positive impact sport has had on their lives. 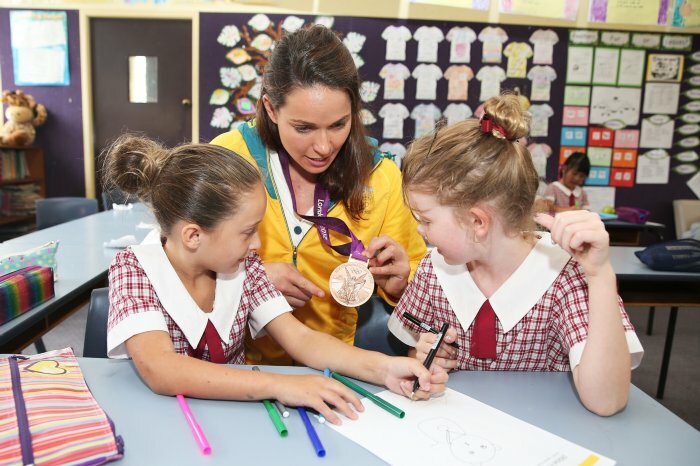 Encourage your students to follow their Olympian heroes to ‘Eat like a Champ’ through this national health education program, which teaches the benefits of healthy eating to young Australians and their families. 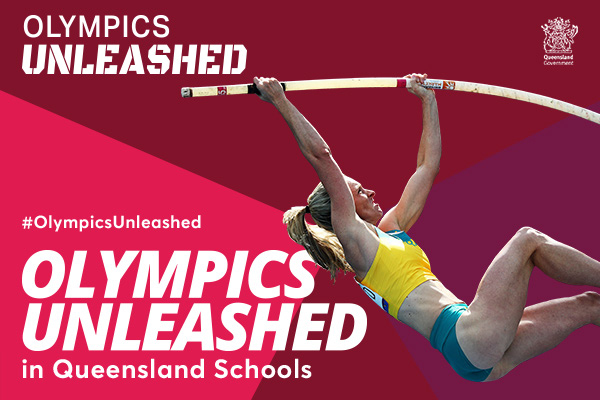 Teachers and students are invited to produce a video message to support the Australian Olympic Team at the Olympic Games. Education Ambassadors help the Australian Olympic Committee promote education initiatives to schools all around the country. Check out their profiles to learn more about your favourite Olympic athletes! The AOC supports Australian indigenous communities through its Olympic education program and collaborates with Olympians who have their own programs. Explore a multimedia video library featuring Australian Olympian heroes talking about the highs and lows of sport and life. Each year, Olympic enthusiasts gather to learn and discuss the important issues of the Olympic Games. 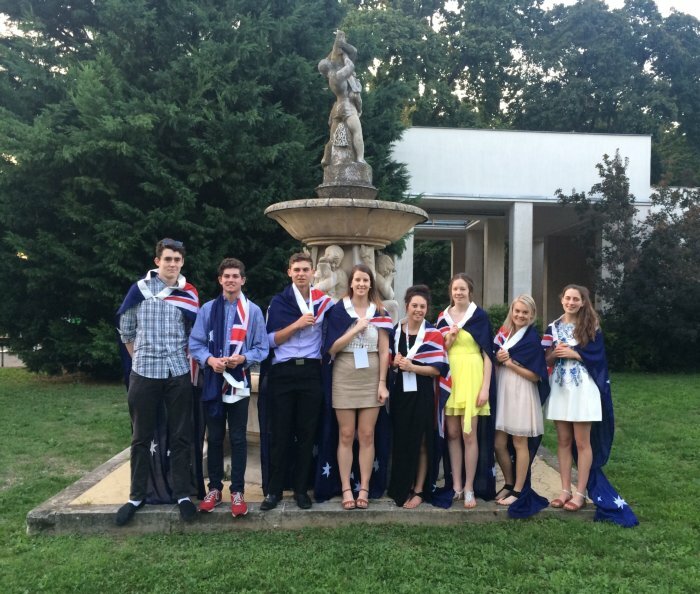 For 2015, the Australian Olympic Committee has invited eight outstanding students to attend the 2015 International Pierre de Coubertin Youth Forum in Piestany, Slovakia.